This form should be completed prior to purchasing an item that will be charged to a budgeted line item. 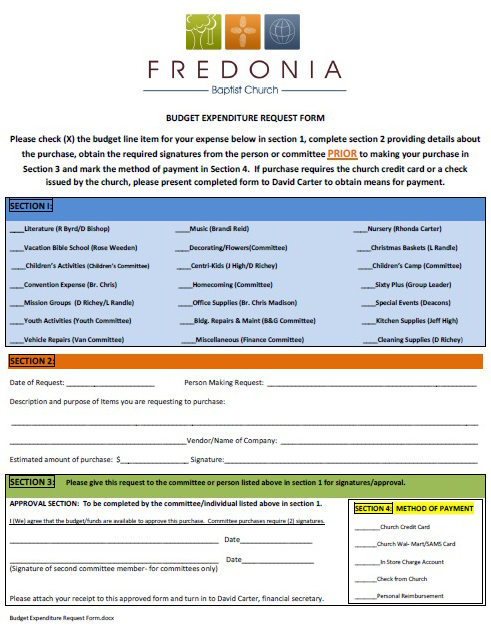 If you have trouble downloading this form, you can obtain a hard copy outside the church office on the bulletin board in the hallway. Please see a member of the Finance Committee if you have any questions regarding the use of this form.